Highly Rated Full-Back Wanted In La Liga: 3 Replacements Arsenal Should Target Including Celtic Star! Arsenal are currently in a summer of transition this year. They have a change in manager for the first time in 22 years and are now desperate to add some quality to the first team. However, Unai Emery, the new manager at Emirates, is also keen to get rid of dead wood that has no place in his squad next season. 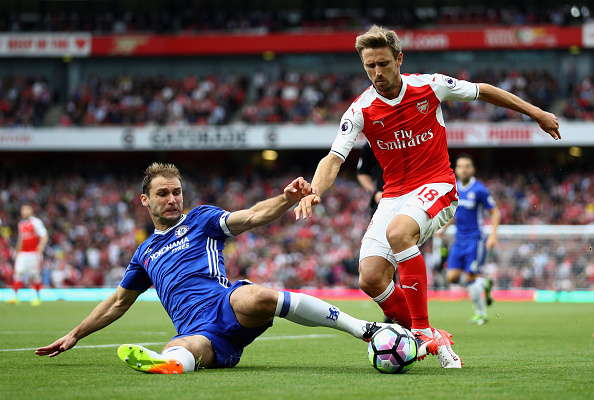 One such player now linked with an exit this summer is Nacho Monreal. One of the most consistent players for the club in the last few years, Monreal is a versatile defender who could be crucial to Emery’s plans next season. However, he is now a wanted man in La Liga, with Real Sociedad reportedly making an approach to sign him this summer. Though not as established as Monreal, Tierney is currently one of the most exciting left-backs on display in Europe. 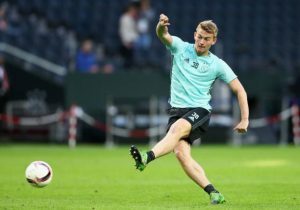 Showing maturity beyond his age, the 21-year old is already attracting interest from the likes of Everton and Tottenham Hotspur but is a more than adequate replacement for Monreal at Arsenal. He is valued at £25m, which is an absolute steal for a player of his quality, so Arsenal should definitely give Tierney a shot this summer. The Spanish U21 international only joined the Liga NOS side in 2016 from Barcelona but has already established himself as one of the finest in his role in Europe. He is still 22 and is a superb fit for Emery’s style of play. He is an actual upgrade on the options currently at the club and he can replace Monreal, leaving Arsenal’s left-back role settled for the next few seasons. Read More: Arsenal Inch Closer To Sign £26m Rated Serie A Midfield Ace: Huge Boost For Emery’s Men? Another player recently linked with a move to Arsenal, Kurzawa could be a decent addition to the squad at the Emirates. He was preferred at the start of last season but Emery, who was at PSG, dropped him down the pecking order, with Yuri Berchiche showing some form. So he might be looking for game time and could be attracted at the prospect of a reunion with Emery at Arsenal. 3 Alternatives For 25 Y/O Ligue 1 Dazzler At Newcastle United Including This 27 Y/O Danish Ace! Everton Look At Alternatives After Refusing To Meet Asking Price For Celtic Star: A Mistake By Silva? Can Liverpool’s Search For A Top Class Left-Back End With This €40m Rated Primeira Liga Talent? Manchester United To Raid SL Benfica For Yet Another Defender: A Move Jose Needs To Make?